So I was working with a great artist, instructor from the University of Notre Dame and he encouraged me to work large and use content I love. I've always had a dog, love my Goldens now and both sleep on my bed with me. 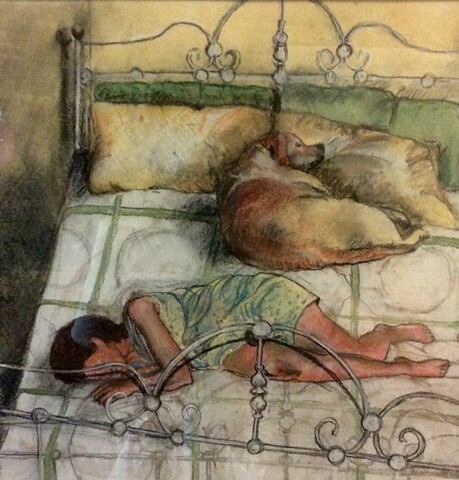 This drawing was the first of my self portraits with my dog which actually was a study for a larger watercolor.